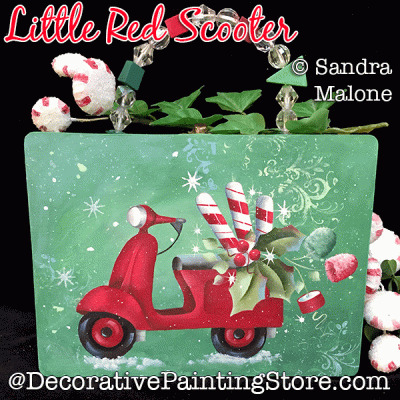 Red scooter with peppermint sticks painted on small wooden purse or your choice of surface. Approx. 7.5"x5.5".